Caffeine is a psychoactive substance that is naturally found in certain plants, although it can also be produced synthetically. Many foods and beverages contain caffeine as an ingredient. It is commonly found in coffee, soft drinks, certain teas, chocolate, and nonprescription medications, particularly stimulants that help you stay awake (e.g. Caffedrine, NoDoz, Vivarin, and others). When taken in moderate amounts, caffeine is considered harmless. As such, it is recommended that people limit their daily caffeine intake to 200-400 mg (about 4 cans of soft drinks or 2 cups of brewed coffee). A Caffeine overdose happens when a person intentionally or accidently consumes more than the recommended daily allowance for this substance. When people consume massive doses of caffeine at a single time, it can lead to dangerous consequences because the body may not be able to effectively metabolize and excrete the substance. The effects of a caffeine overdose may vary depending on a number of factors such as the person’s weight, age, and condition; the amount consumed; and the type of product ingested. People also have varying degrees of tolerance to caffeine; such that, some people may be able to consume large doses of caffeine without experiencing any side effects, while others are more sensitive even to small amounts of this substance. In general, consuming high doses of caffeine can lead to possible side effects such as irritability, anxiousness and nervousness. It may also cause problems with sleep as well as intestinal discomfort. There are also other symptoms that usually indicate you have taken too much caffeine. If you experience any of these symptoms, you should consider reducing your caffeine intake to prevent further life-threatening effects. Since people have different tolerance levels of caffeine, it’s difficult to know the exact amount of this substance needed to produce these overdose symptoms. 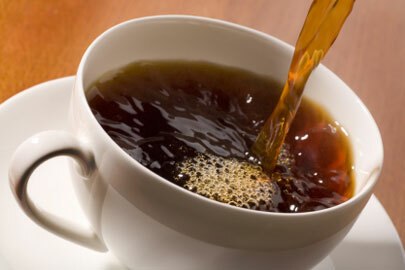 Usually, caffeine doses exceeding 300-500 mg/day can lead to mild to moderate side effects. Although rarely reported, severe cases of caffeine overdose can cause cardiac arrest which can potentially lead to loss of life. Take note that while caffeine is not addictive, it can be habit-forming and overdosing on this substance is highly possible. Furthermore, if you suddenly stop taking caffeine, you can experience withdrawal symptoms such as headaches and irritability. In case an overdose of Caffeine is suspected, seek medical attention right away. Call your local poison control center or your healthcare provider. Do not induce vomiting unless specifically instructed by your healthcare provider or emergency personnel. If the patient exhibits severe overdose symptoms or becomes unconscious, consider visiting the emergency department. Treatment of an overdose involves supportive measures. Patient is monitored for adverse effects and symptoms are treated as they occur. Depending on the patient’s symptoms, your healthcare provider may recommend use of activated charcoal, breathing support, medications to treat abnormal heartbeats, and gastric tube to irrigate the stomach (gastric lavage).